A former chairperson of the National Roads Authority Fred Barry has been appointed to chair the board responsible for building the new National Children’s Hospital (NCH). 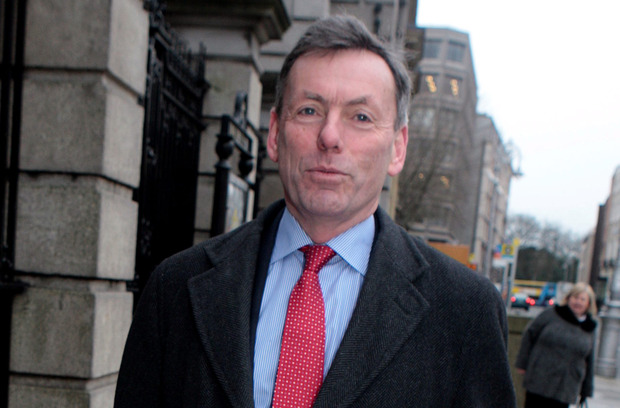 The appointment of Mr Barry by Health Minister Simon Harris follows the decision of the former hospital chairman, Tom Costello, to step down amid the controversy over the escalating expense of the new hospital, which will cost at least €1.4bn to construct. Mr Harris said Mr Barry has vast experience in managing complex projects. “I want to thank Mr Barry for taking up this role. The National Children’s Hospital is the most significant investment in children’s healthcare in this country,” the minister said in a statement last night. Pressure is intensifying on Mr Harris after Paschal Donohoe said it would have been “helpful” if he had been told of the escalating costs of the NCH earlier. Mr Harris has faced growing criticism over his handling of the massive cost overrun, including a barrage of Opposition claims he should have told Government colleagues about the situation sooner. Mr Harris first became aware of concerns over rising costs at the NCH at the end of August last year, but he didn’t tell other ministers until November when it was determined that construction costs had soared by €450m to €1.43bn. He insisted that Mr Harris was “doing what he should have been doing” during this period in seeking to understand the scale of the sums involved and then briefing Government. Meanwhile, Fianna Fáil TDs have called for political accountability for the ongoing crises that have besieged the health service. At a parliamentary party meeting in Leinster House, Sligo-Leitrim TD Marc MacSharry said the party needed a “political head” to show it is holding Fine Gael to account for the strikes, the hospital’s cost and the CervicalCheck scandal. Galway West TD Éamon Ó Cuív said the party should seek “political accountability” from the Government for the crises. Fianna Fáil leader Micheál Martin responded by asking the party for its “patience” so he could address the issues. In the Dáil, Labour leader Brendan Howlin challenged Taoiseach Leo Varadkar on the delay in Mr Harris telling his fellow ministers about the increased costs. He said that there had been a separate “battle going on” at the time within Government about general overruns in Department of Health spending of around €600m. He claimed it’s “not credible” that “nobody mentioned that, by the way, there’s maybe €400m or €500m overrun in the capital side as well”. Mr Varadkar insisted that Mr Harris “did the right and appropriate thing” and sought full facts and figures before briefing the Government. A Department of Health spokesperson last night said Mr Harris had confirmed in September spending “to date was in line with the expected expenditure profile”. A statement added that while the matter of potential escalation in costs was known, “commercially sensitive negotiations” were ongoing and costs weren’t finalised until November.